Alejandra V. Aceves was born on March 11, 1981 in Glendale, CA. She grew up in the Eagle Rock area and graduated from Marshell High School before moving to Palmdale. 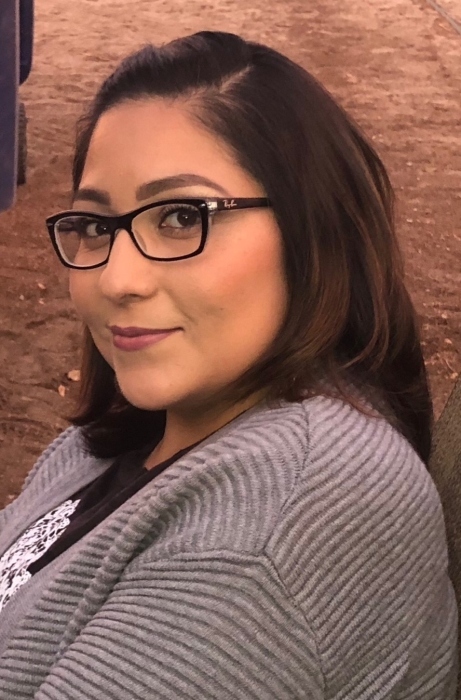 Allie worked at Chapel of the Valley Mortuary in Palmdale for 18 years as a Family Service Counselor, a position at which she excelled by helping literally hundreds of families in their time of need. She was a compassionate and caring individual always giving more than was ever asked of her. Her easygoing personality and infectious laughter brought her many friends and acquaintances throughout the Antelope Valley Allie was the coordinator of the Chapel of the Valley Mortuary Annual Service of Remembrance and she was instrumental in the design of the Fallen Hero’s Memorial at the entrance to the Antelope Valley Mall. However,her greatest achievement and joy were her children. Allie is survived by her daughters, Celeste and Rebecca, parents, Alfonso and Rosie Villegas, brothers, Alfonso Villegas Jr. and wife Olga, Roberto Villegas, Arturo Villegas and wife Maribel and many nieces, nephews, relatives and friends.